Many physical phenomena involving fluids are characterized by the presence of a free surface. Examples of such problems are environmental flows in rivers and lakes or the flow around a advancing boat. MOX researchers have been active in this field developing new numerical methods and efficient parallel code for solving complex free surface flows. Multiscale techniques to couple 1D and 2D model have been developed along with some multiphysics strategies to couple free-surface and groundwater flows. 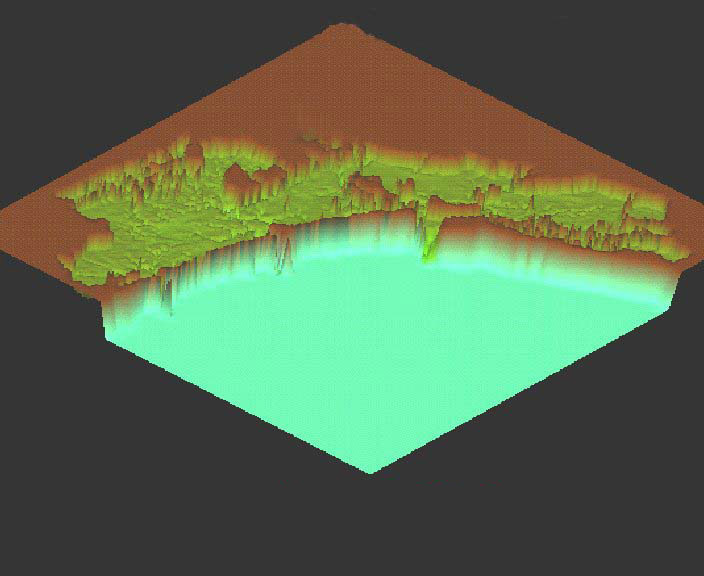 Several mathematical and numerical models of sediment transport processes have also been investigated, for application to mobile bed river hydraulics simulation. An accurate prediction of the free-surface dynamics of the water-air interface is of primary importance in the design of boats. Numerical methods based on both Volume of Fluids (VOF) and Level Set techniques have been developed and coupled with 6DOF dynamical systems for the simulation of the boat dynamics in calm and wavy seas. In collaboration with the Alinghi Team in the America’s Cup and the rowing boat manufacturer Filippi Lido S.r.l., ad-hoc models for the performance evaluation of racing boats have been developed and adopted in the boat design process. View a list of publications related to free-surface flows.